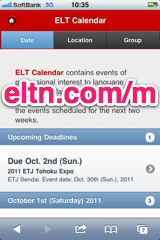 ELT Calendar Ikoma City, Nara Prefecture, for language teachers in Ikoma City. 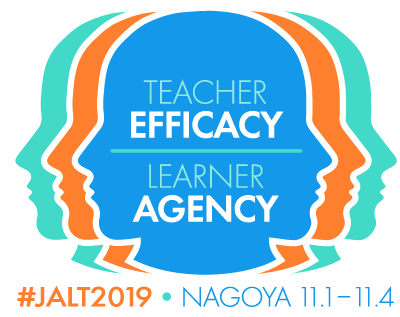 Events of professional interest to language teachers in Ikoma City. There are no upcoming events scheduled for Ikoma City. You could try the Nara Prefecture Calendar, or use our advanced search page. Here are some of the past events in Ikoma City. First line of description: This event will be followed by a joint Osaka-Nara JALT Xmas Party Inspire Or Perspire? 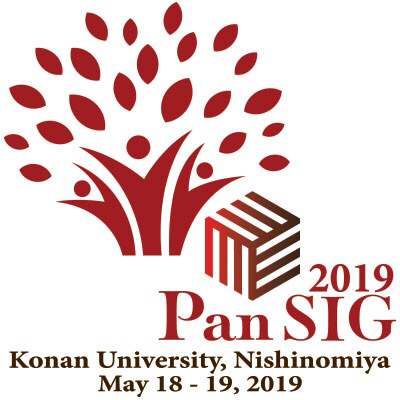 Getting Students SpeakingThis presentation will introduce the audience to a number of strategies that can help break the silence in the Japanese classroom and get students engaging in meaningful communication. First line of description: Hosted by the JALT CUE SIG in collaboration with the JACET Kansai ESP SIG, this unique event features presentations from two of the foremost experts in English for Specific Purposes (ESP) in Japan, interactive workshops led by those experts, a chance to share your own work in a poster session, and a round-table discussion focusing on core issues in ESP.